If you are heading to the UK then Scotland simply has to be on your list and its capital city Edinburgh deserves a good chunk of your time. Come rain or shine, this city powers on with a whole host of indoor and outdoor attractions. I’ve picked out a few of my favourites to give you some tips to plan your visit from. Well, when a city is known as the Worlds Festival City this had to be number one right? I was lucky to spend this August exploring all the Summer Festivals that Edinburgh has to offer, including the Book, Art and Famous Fringe but there are actually 12 Edinburgh Festivals throughout the year so timing your visit up to match one shouldn’t be too hard, especially the unique Hogmanay celebrations over new year and the incredible Royal Tattoo. Worried it will cost a fortune? I’ve written a handy guide to Edinburgh Festivals on a Budget and even made a video to show you how awesome they are! 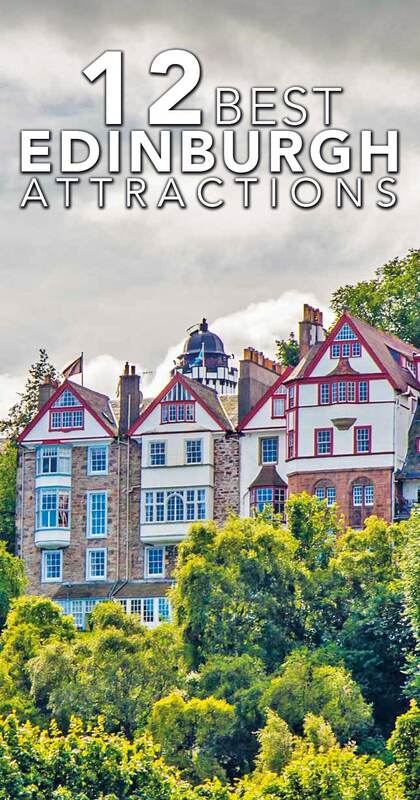 The obvious number two on this list is Edinburgh castle which is open to visitors (at a fee). Towering over the city it is breathtaking both from afar and inside. 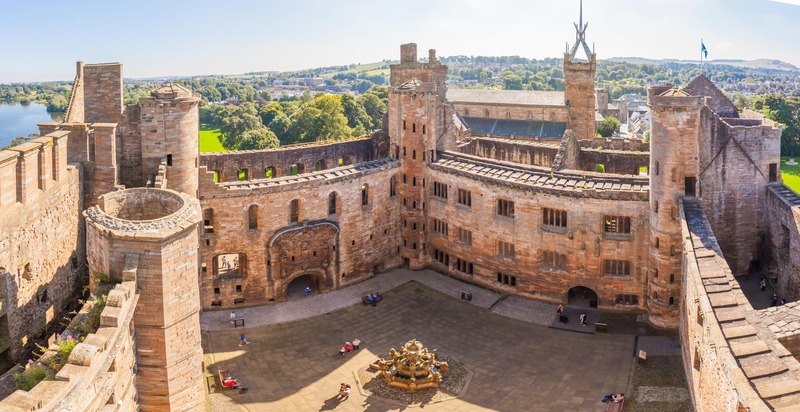 This unique castle is actually a whole host of smaller buildings within a courtyard and is still equipped with cannons and fascinating stories of the Scottish capital’s past. 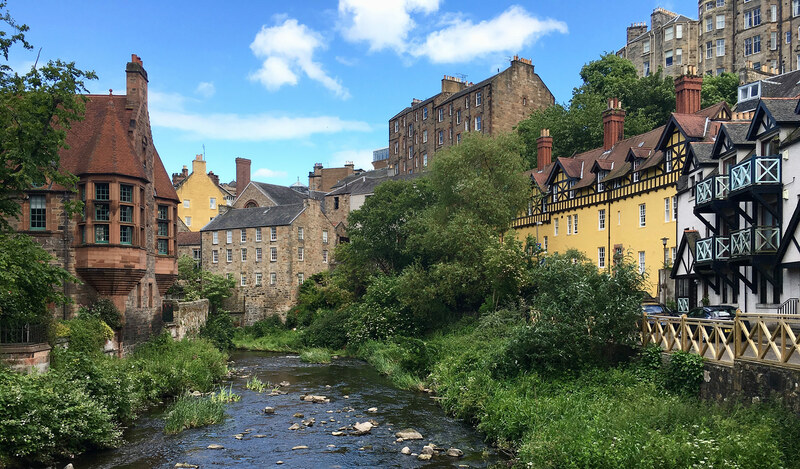 A great little walk from the hustle and bustle of Edinburgh central is the charming and quaint Dean Village. It was raining like crazy when I went (Ahhh the Scottish weather!) but luckily my friend Sonja had this colourful photo to hand. Take an early morning walk along the river before anyone is about and catch the mirror like reflections of these old houses in the water, it’s a postcard-perfect moment. Easily accessed by a 20-minute bus journey are the fascinating Gilmerton Cove caves. The reason for these being such a place of interest is no one is quite sure what they were used for. As with most things in Edinburgh the historical tales and interesting stories have all been spun but take a visit yourself and try to work out what the hollowed out stone bowls or long bench-like chairs were actually used for. Call in advance to make sure a tour is running. 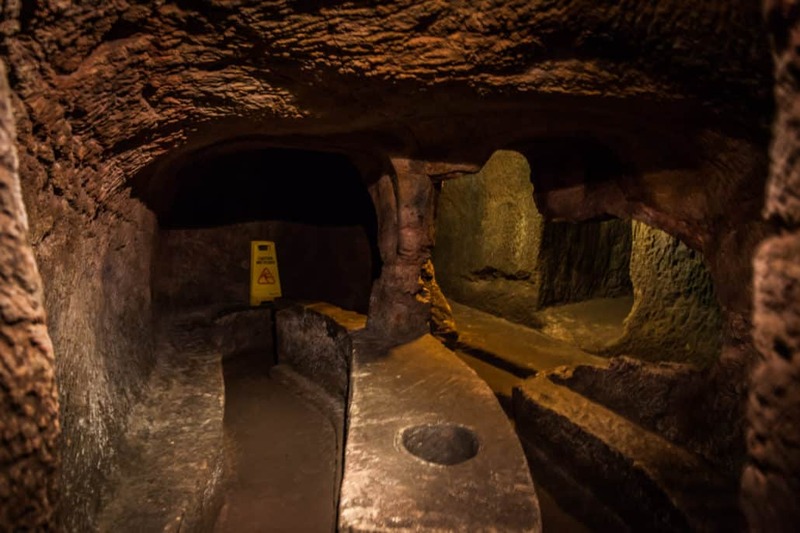 Another underground treat can be found right in the heart of Edinburgh on the Royal Mile. The Real Mary Kings Close is history at its best though I expected any tour led by a character actor would be naff. It actually wasn’t. I found it to be a really in-depth history lesson in the plague, how people lived in days gone by and even how sewerage would have been discarded. These small rooms with their low ceilings and even original beams are rich in tales and the street between the buildings makes you realise just how tight the living quarters were. The tour may cost you some dime but to head underneath the street with so many people milling above is a real treat for any history buff. I’ll start by saying if you haven’t eaten breakfast, then booking this in for 10 am isn’t the wisest decision. 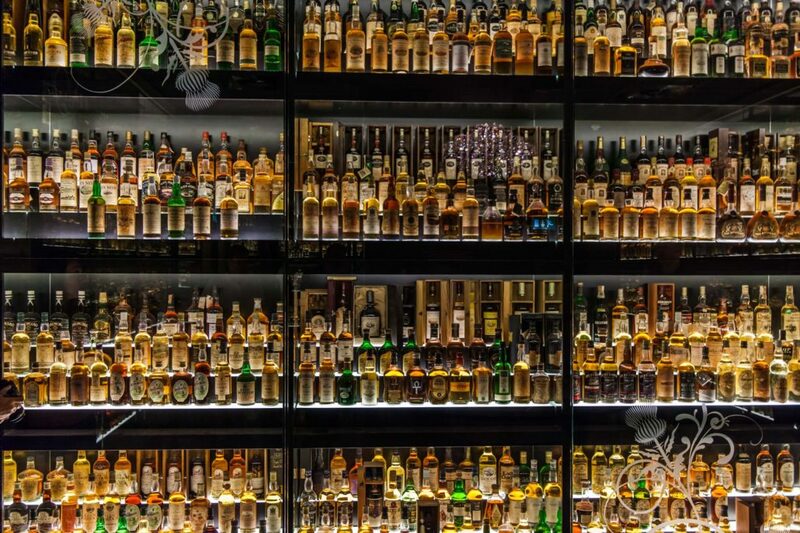 Coming from a bar background I was super excited to check out this huge collection of whisky and have the chance to not only try a range of their finest but also learn about all the different types of production and flavours that Scotch is famous for. After being walked through the prices and history of the collection we were treated to a full blown lesson, complete with a quiz, on how Scotland has become such a famous Whisky producer. Even if you only have a weekend in Edinburgh, this is one of the activities I highly recommend you fit into your schedule. Edinburgh is a very green city and the clear Scottish air is the perfect excuse to get outside. 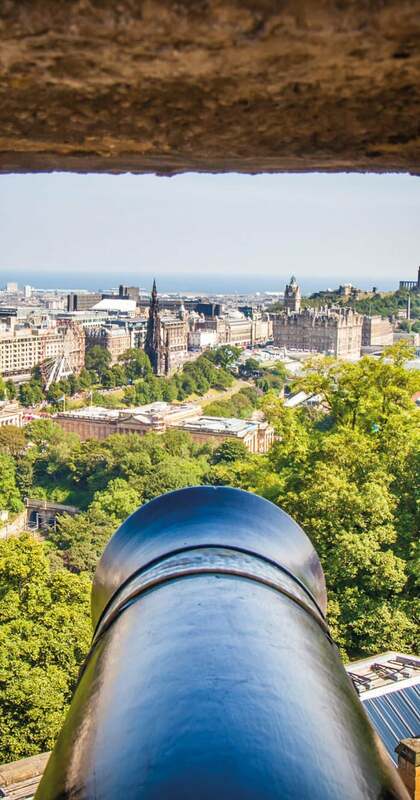 Whether you are admiring the view of the castle with a picnic in Princes Street Gardens or appreciating the green efforts of the Royal Botanic Gardens, getting lost in nature is easy here. The trek up to Arthurs Seat, the mountain peak looking down on the city is the perfect way to watch the sun rise or set. Edinburgh is an art filled city all year round, you can’t help but notice the various sculptures dotted around the city. With a whole host of museums and galleries to take your pick from you are spoilt for choice. The National Museum of Scotland and the portrait gallery are well worth a visit if the rain does (or doesn’t strike) and with both offering free entrance you would be mad not to at least pop your head in. The waterways of Leith are a great stroll and offer a different vibe to Edinburgh central, I remember visiting many years ago when it was an ‘up and coming area’ and the transition seems to be complete. Retired in 1997 and now stored at the Port, the yacht of Queen Elizabeth gives an insight into life during its service from 1954. If you have kids, take them here. If you think you are a kid, like me, take yourself here. 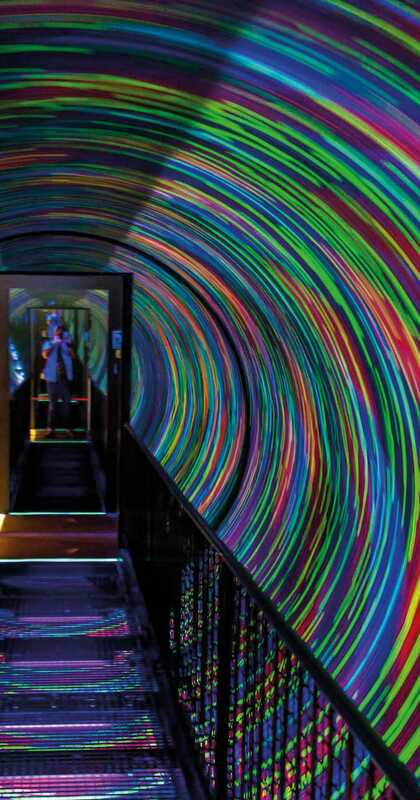 Multiple floors of crazy games, light experiments and mind blowing tricks will confuse, dazzle and amaze you. Even if you are the grump of the group I am sure this place will keep you entertained. The rooftop offers spectacular views of the city and Arthurs Street and the original Camera is still there for viewing. This isn’t the cheapest activity however so if you are on a strict budget you might want to skip it. 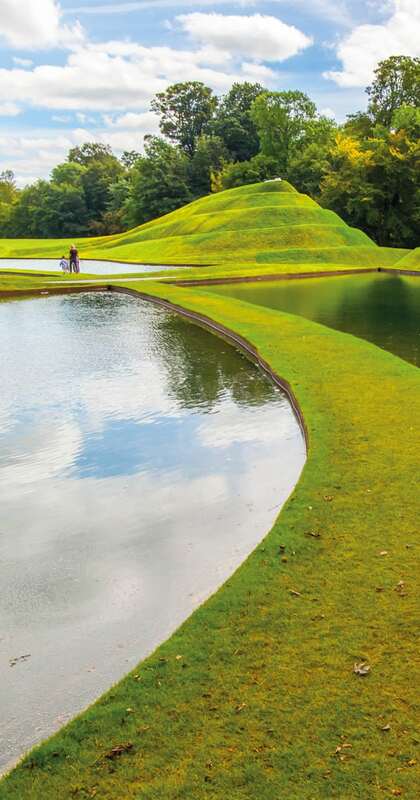 Either a 9km drive or confusing bus trip away from the city (the bus stop on the street seems to have disappeared but wave one down when they are seasonally serving the stop and they will pick you up) Jupiter Artland is home to historical Bonnington house. It is also one of the locations for the Edinburgh art festival during the summer and home to various art sculptures throughout the year. The grounds are open from May to October with limited hours and daily openings in the height of summer, check their website for the latest hours. 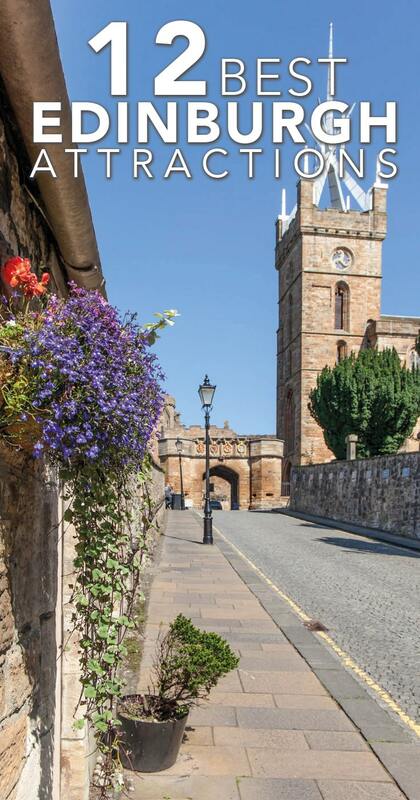 Linlithgow is a short train ride from Edinburgh and will give you that quaint traditional village feeling you might want to discover in the UK. With stone streets, colourful hanging baskets and an old world vibe take a boat out on the lake of Swans and fall into countryside living. Linlithgow palace (regularly confused as a castle) sits on the hill by the lake and offers some great vantage points and photography options from its turrets. A few years ago I was ready to pack my backs up and move to Glasgow after a work contract there. This city is gritty, exciting and full of characters. The accent may take you a while to crack but with an emerging art scene, some great nightlife and a vibe I just can’t quite describe you really should take a detour to this second city. If you have a few days spare on either side of your Edinburgh trip, then an adventure to these cute and historic islands is a must. With towering sandstone cliffs and seal colonies, this archipelago off the east coast of Scotland is unique. For history buffs, the collection of neolithic sites will keep you entertained for days. Whilst it’s still on my bucket list to get here, check out this detailed guide to the Orkney Islands for some trip inspiration. I haven’t managed to make it to Stirling yet but I am sure I will soon enough. Located in central Scotland this medieval town complete with Fortress is a popular tourist hot spot for those seeking out a more traditional look at our country as well as yet another castle which many people have told me is more impressive than that of Edinburgh. 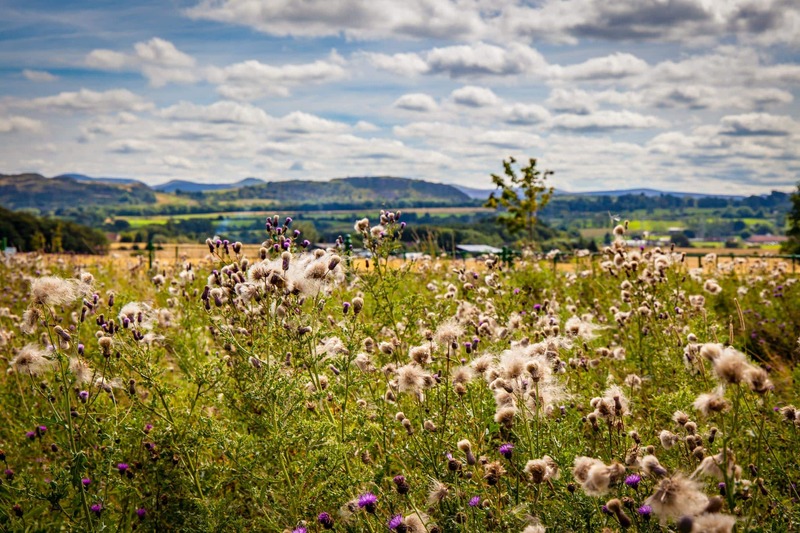 Check out this great guide of things to do in Stirling by the Two Drifters team to see exactly what this city has to offer. This stunning island is almost a fairytale and I have pawned over its dream-like photos for so many years – I promise you the drive up north will be worth it when you get to visit. After a short ferry trip from the mainland, you are transported to lush green landscapes, wildlife and a slower pace of life. For an idea of at how beautiful this place is as well as an in-depth guide to exploring it, check out Claires page on things to do in Skye Island. Whether you are a die-hard fan of the wizard world, or simply want to see some of the most stunning landscapes Scotland has to offer this incredible train journey is a must for your visit. Starting from Arisaig, the most westerly train station in Scotland this isn’t an experience just for kids. Laura has written up a great report about the Harry Potter Scotland Train if you want further details. 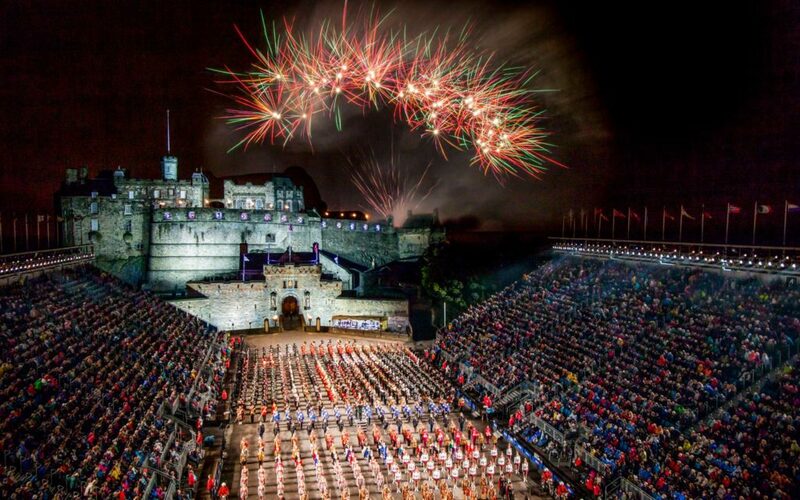 Accommodation can jump hugely in price in Edinburgh if there are festivals happening, so advance booking is a great idea. Here are two options I tested out that don’t need to cost a bomb. SYHA Edinburgh Metro Hostel: Don’t panic! This isn’t your typical dorm hostel. During the summer months this University city hand many of their campus flats over to the SYHA to manage which means you can score your own room (shared bathroom) within a flat right in the heart of the city for around £50 a night which given how expensive hotels can jump is a great option. For me, it was better than a hostel as you still get a private room with plenty of space, your own wardrobe and desk as well as access to the flat kitchen so you don’t have to eat out every day. By Air Edinburgh has a great airport located not far from the city and there is also an airport in Glasgow. Both serve International routes as far as Asia with both budget and legacy carries. 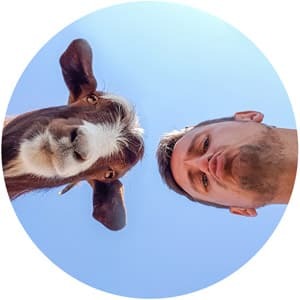 Check out Skyscanner as it allows you to hunt down the cheapest flight deals – I have a super handy post on the best ways to get cheap flights as a good starting point. 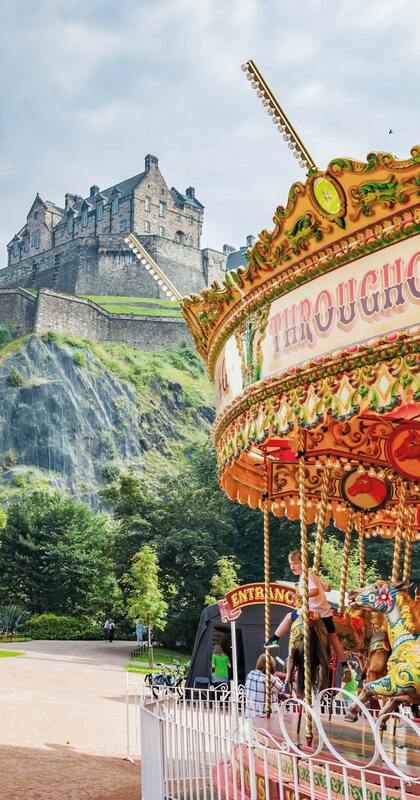 Edinburgh’s a fantastic city to visit and you’ve provided a great list. I would also add the Royal Botanical Gardens and Edinburgh Zoo to the list. Heading to Edinburgh this January to visit family. I have 6 days to explore in Europe after that… where would you go? Ihave already been in Edimburgh and I´m coming back in July, 2017. I love this city.